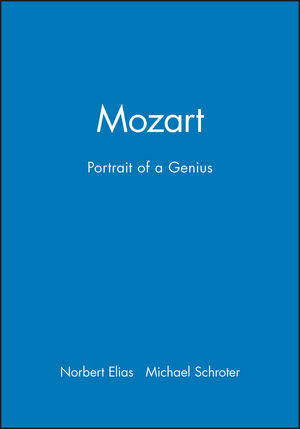 Now available in paperback, Mozart is a brilliant study of the great composer's life and creative genius, written by one of the most important social thinkers of our time. In Mozart, Elias provides insight into this case of tragic conflict between personal creativity and the tastes of a society which sought to control it. Norbert Elias was Professor Emeritus at the University of Frankfurt until his death in 1990. His many works include the modern classic, The Civilizing Process. Part I Sociological Reflections on Mozart. . He Simply Gave Up and Let Go. Bourgois Musicians in Court Society. Mozart Becomes a Freelance Artist. Craftsmen's Art and Artists' Art. The Artist in the Human Being. The Formative Years of a Genius. Mozart's Youth - Between Two Social Worlds. Mozart's Revolt: from Salzburg to Vienna. PThe Drama of Mozart's Life: a Chronology in Note Form. * Norbert Elias is one of the most important thinkers of our time. * This is a brilliant sociological account of Mozart's life and genius. * The hardback edition was widely reviewed and it sold well; the paperback edition should be very successful.